Fentanyl is an opioid pain medication that is highly addictive with rapid onset and short duration characteristics. Record the following script in your own voice and play back while experiencing a deep Theta brainwave frequency session on your light and sound mind machine. This Drug Addiction script is designed for achieving an aversion to Fentanyl and should be construed as a tool for personal use while simultaneously receiving professional medical treatment. You are in a comfortable position. 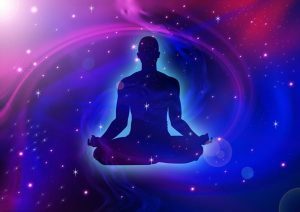 Your eyes are closed and your mind machine is generating soft pulses of light and sound stimulation while your consciousness is relaxing, gradually going deeper and deeper. You are beginning to imagine the symptoms of withdrawal. Your stomach aches, you feel nausea, your muscles are ready to cramp. You feel horrible all over. Imagine all these feelings, visualize what they are doing to you, and associate what you are experiencing with Fentanyl. Associate these negative feelings of withdrawal with Fentanyl itself. It is Fentanyl that is causing these mental, emotional and physical feelings. From now on it is not the withdrawal from Fentanyl that is causing these feelings, it is Fentanyl itself that is bringing on these feelings. You despise how Fentanyl makes you feel. Fentanyl makes your body physically sick. Your body responds to taking Fentanyl with very uncomfortable feelings. Whenever you take Fentanyl these physically sick feelings begin. You are aware of them. You feel them deeply, very deeply. These negative feelings are extremely uncomfortable. You know this is true. You know it will happen. Three. You begin to completely withdraw from Fentanyl. What you are feeling, instead of getting worse, is getting better. You are feeling better. You are more alert, more energized, happier than you have been in a long time. Two. You realize it is easy to withdraw, because you feel better. Much better. You understand how bad Fentanyl makes you feel, how depressed and used it makes you. You are no longer it’s puppet. You are amazed at this reverse effect as being an ex-Fentanyl addict becomes a permanent part of your deep subconscious mind. One. Your need for Fentanyl is gone. Right now you are beginning a new phase in your withdrawal. Your stomach is no longer upset, your pain is gone, your troubles are gone. You are less anxious. Feel good about yourself. Feel good all the time. You know Fentanyl makes you feel bad. You have always known Fentanyl makes you feel bad. Fentanyl is a drug that causes you problems, makes you physically sick, makes you an emotional wreck. You are done with Fentanyl. You are deeply relaxed. You are allowing your mental, emotional and physical being to completely absorb your positive healing suggestions. You feel how these suggestions are having a complete and thorough effect upon your psyche. Nothing can disturb you. Nothing will bother you. Your withdrawal has begun and you feel relaxed, happy and better than ever.